This list outlines the most notable and powerful points of “The Lobster”, highlighting the reasons that may potentially encourage a film viewer to watch it; that is, if the spectator does actually need such encouragement. “The Lobster” falls into the same category of films as “Fahrenheit 451” (François Truffaut, 1966), as both take a similar approach to create a seemingly science-fiction ambient. These mentioned stories are based on a treatment of a drama, altering narrative details and playfully using the rules of real life, juxtaposing them every once in awhile with those of an imaginary invented narrative ambient. What is most interestingly developed through these storylines is the fact that, in starting with a familiar dramatic situation, the auteur ushers the narrative toward a quite different setting. It refers to any kind of similar narrative, including works of literature, TV series, and films. For instance, with Mira (Christopher Frank), or with a more recent example like numerous episodes of “Black Mirror” (2011), it is quite easy to note the fact that all of these works are practically interpretations of a literary approach. They are based on subjectivism, though still the character is not clearly exposed to the spectator. If there is just one reason to watch and rewatch such a cinematic narration, it is undoubtedly the fact that “The Lobster” is one of the few films, produced in this very recent period of time, that obtains some older narrative approaches of its predecessors, confirming it still works. As always, if you think you can add to this list, don’t hesitate to recommend additions. 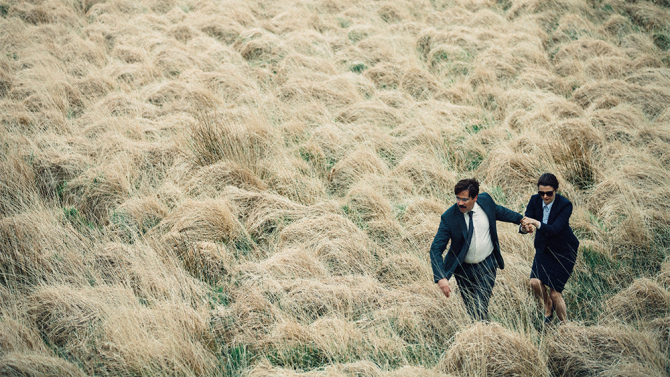 The initial scene of “The Lobster” summarizes the whole mode of narration that is respected during the film. The visual texture, the method of shooting, and the sound of the scene suggest that this is a realistic approach, though what occurs at the end of the scene contradicts such an interpretation. A woman is driving with a determined expression on her face; after arriving at her intended destination, she steps out of the car and shoots a donkey with a pistol. Neither the image nor the sound fades in gradually; this initial representation of the story is a decisive unexpected cut, a method that automatically recalls the narrative approach in a documentary. What contradicts this is the story that mirrors back an unexplained narrative situation. The same exact method is used in the successive scenes; a man at a crucial point of his family life, as his wife is leaving him. We cannot see the wife as the woman remains out of frame and her presence remains limited to her voice. There are not many shot changes and the scene develops and concludes just like an interview; again, a documentary-like approach, while the flow of conversation contains the oddest indications. The man insists on knowing if the woman’s new lover wears eyeglasses or has contact lenses. Nonetheless, the succession of the scenes do not all follow the same rule of “posing questions without offering a potential response.” During the second scene, a dog is visible in the background; later on, the explanation about the fact that the dog is the protagonist’s brother, being transformed into a dog, clarifies the entire narrative situation and gradually reveals the storyline. In “The Lobster”, director Yorgos Lanthimos has strangely combined the most subjective modes of narration to represent an utterly objective approach. His basic material in narrating “The Lobster” is the most intimate moments of his characters’ lives; something that clearly attracts the sympathy of the viewer, though the auteur is practically stopping his audience from impersonating the protagonist. Voiceover narration is one of the easiest modes that the auteur can provide to present a subjective narrative. 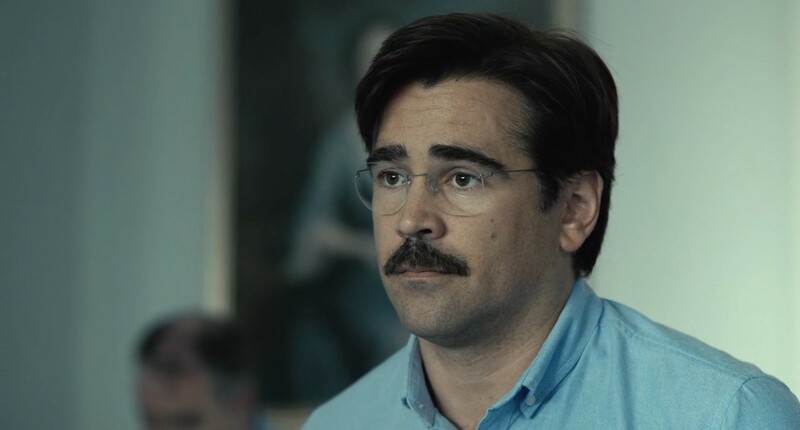 Nonetheless, the voiceover narration in “The Lobster” belongs to a character who appears later in the story, and her objective nature of expression doesn’t function as an absolute subjective method of narration. In most cases, she just repeats the same dialogues that the characters are uttering at the same very moment. In spite of using all existent methods of cinematic subjective expression, including point-of-view shots and a voiceover narration that clearly presents the character as the main protagonist of the story, the auteur attempts to keep a certain distance between the protagonist and the audience, presenting him as unpredictable as possible. Even at the very end of the narrative, when the spectator has to be certain of the final decision of the character, his reaction cannot be anticipated. We remain in the same room with the girl, waiting for the protagonist to finally decide to do what he had previously promised, stepping back into the scene. Just like the girl, we never know if he does actually get back. 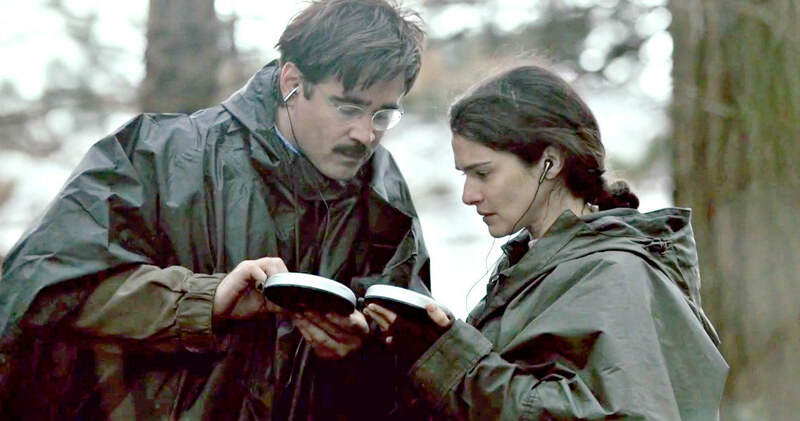 The use of voiceover narration in “The Lobster” does not represent a subjective approach; most evidently, it is a kind of verbal documentation of the physical occurrences in the story, which again, is a repeated method mostly used in documentaries. The woman’s voice generally says out loud what we are practically seeing in the picture. The fact that there is a rifle hanging on the wall in the room, and that the protagonist has five shirts and five pairs of pants in the wardrobe, are simply the elements that can be noted merely through the picture. There is no need to repeat the very same information in the sonorous part of the narrative. What is being used as the main theme of storyline is what any spectator undoubtedly can understand. “The Lobster” forms an unfamiliar dramatic situation on an absolute familiarity: being in a relationship and being in love. The film’s story sharply uses an alternation in an already-known experience; it uses what is common to treat its uncommon plot. The fact that the characters have been left by a spouse or partner is easily understandable, and has all the required potential for the audience to sympathize with the story. What alters it is the fact that the presumed society does not allow loneliness and doesn’t approve individualism to any extent, so anyone who is left alone is also informed that if he/she remains without a partner for a period of time, longer than what is dictated by law, they are going to be transformed into an animal. The only privilege the loners have is that they can choose what animal in which they are going to take form for the rest of their lives. While everyone normally chooses domestic animals like dogs and cats, the protagonist of this story, David (played by Colin Farrel), oddly decides to become a lobster. He explains the reasons for his decision: lobsters live long lives, have blue blood just as nobles do, and is sexually active throughout their entire life. However, something that clarifies his final hesitation is losing his sight. David loves life; he wants to live long and love long enough. The fact that “The Lobster” decides to use such a touchable argument to create an invented ambient is absolutely admirable; the end of any science fiction or fantasy plot is formed on the basis of real-life experiences. Apart from life in a relationship, another common experience that “The Lobster” refers to is the decision to live alone. The story is, in fact, a reflection of a minority’s choice in life, which is not quite approved of, even by David. Loners are those who willingly avoid any kind of affection and radically decide to walk alone, which is quite a contradictory choice for human being. In “The Lobster”, both the society and the hidden opposition are trying to rule what is instinctive in nature. “The Lobster” marks out that sexual attraction and love are inevitable in a social human life; therefore, although we are not on the same side of those who try to force others into a relationship, we also cannot accept what is proposed as an alternative by the loners. The entire theme is concentrated on something instinctive that is controlled and forced into categories. The fact that the protagonist feels threatened, just as we might be in a similar situation, shows the very impact of isolation; you’d like to be good company to another person, but you are actually afraid of any other kind of individuality. Consequently, the final impact of the film is a sense of isolation, an effect that is clearly underlined by the auteur, since even the choice of the locations ushers the feeling that one’s intimacy is being threatened and invaded.